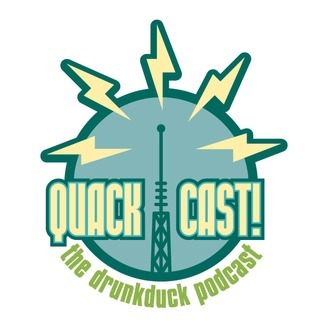 The QuackCast is a DrunkDuck.com podcast hosted by Ozoneocean and Banes. Each week the two hosts will discuss webcomic related subjects, such as art techniques, writing comedy, drawing programs, the best hardware and materials for art, how to make money with webcomics etc, they also interview various webcomic artists to try and learn their secrets, all in the name of trying to promote webcomics and help webcomic creators and readers! 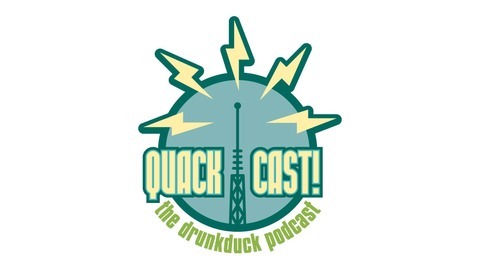 QUACKCAST 423 - Fave weapons in fiction?